Authors are often at a loss for words when asked where they get their ideas. So many stories and books start as barely formed images or subtle murmurings of the unconscious that have to be wrestled into the light. And most good stories come from several unrelated (at least at first) ideas that are joined together. But every so often, an author knows exactly where a story comes from. 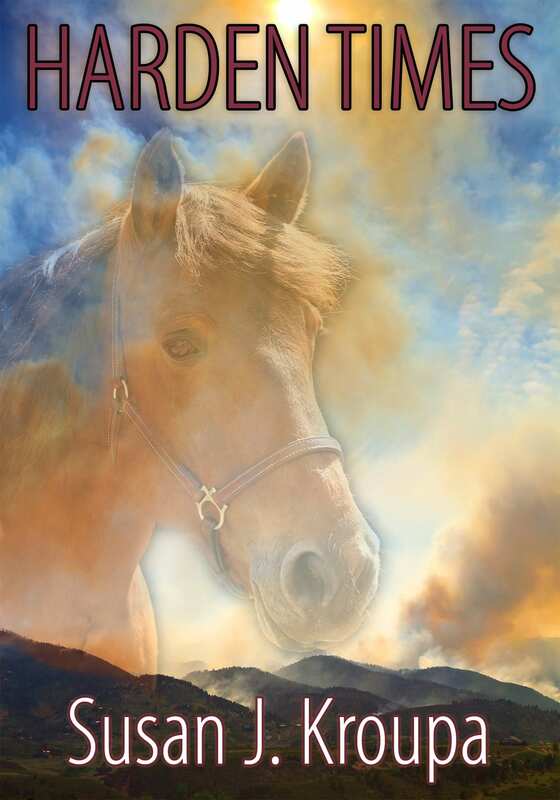 Harden Times, my latest reprint out from Laurel Fork Press, began with my grief over the loss of a dearly beloved horse, a lovely Arabian mare who almost died trying to survive in the harsh open range of Northern Arizona. I was lucky enough to rescue her. It took months of nurturing before her ribs no longer showed and her coat became glossy. In return, she taught me how to ride, or, more precisely, how to sit still on a horse. Although I’d ridden horses for years, I’d never had a horse so responsive to the rider, to the slightest tightening of the rein or leg. When I lost her to colic during a brutal snowstorm, I was devastated. Fast forward a few years through a divorce and other “hard times”, and things were looking up. I was engaged to be married to a man I’d known since college, and we began to look for a home that would fit our new family. At the time, I was living in Utah. It seemed that every home we looked at had a storage room full of food. Mormons are counseled by their leaders to keep a year’s supply of food and water in case of disaster. We started to joke that a builder in Utah couldn’t get a permit to construct a home if the blueprints didn’t have a storage room. And I began to wonder what would happen if a disaster left a critical shortage not of food, but of people? Harden Time was first published in Realms of Fantasy (2001) and is available on Kindle, Nook, and in a wide variety of formats on Smashwords. It’s a personal favorite.